Many people will tell you that building a positive company culture with a remote team is a science-fiction concept. What people don’t understand is that creating a company culture doesn’t necessarily happen inside an office building. Do you know how many stars there are in the Milky Way Galaxy? Or who wrote The Great Gatsby? 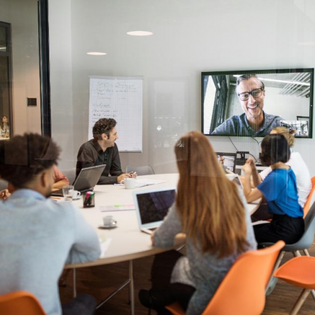 Knowledge sharing is essential when working with remote teams because it empowers people to establish bonds and grow. • Removing the focus from the individual, the leader, the superstar performer, and focusing more on the team or on how remote employees work together to get results. • Providing infrastructure people can use to collaborate. Team members should be empowered to use different collaboration apps such as Slack, Asana and Zoom. Many managers and team leaders shy away from giving feedback. Why? Because it’s an emotional task that creates an uncomfortable atmosphere. But without it, how can employee performance improve? • Our brains are wired to react more to negative rather than positive factors. When you give negative feedback, your employees’ fear sensors activate. However, approaching feedback with empathy can make a world of difference. A manager who supports employees is the real secret to employee engagement because good employee feedback is based on trust. • Get rid of annual performance reviews and focus on more short-term development. While their purpose is to reflect on the entirety of the past year, they often end up focusing on more recent events. • Set goals for your employees that include specific and measurable key results. This helps employees visualize how they directly affect the company’s success. Create rituals and traditions to get to know your employees. Creating camaraderie within your remote team is different than it is in an office environment. But as luck would have it, there are many ways to get to know your employees and build a positive company culture. Creating traditions with your remote team can help keep the team cohesive, effective and trustworthy. How else would you know who is obsessed with Stranger Things and who sleeps with their dog at night? • Regular video chats: Hold regular video chats to help your remote team communicate face-to-face. Discuss work topics but also ask about each others’ cultures, customs and hobbies. You can also encourage team members to have one-on-ones themselves. • Virtual coffees: Your remote team can use virtual coffee breaks, which are video calls, to take breaks and socialize. You can practice this idea a few hours every week. It’s a great way for employees to share what they’ve been up to lately outside of work. • Retreats: Weekend retreats (at least once a year) are an awesome idea to provide more personal interactions for a team that doesn’t get to collaborate in person very often. Numerous studies today show that diverse teams outperform homogeneous teams. They report that diverse teams make better business decisions, 87% of the time. What’s more, decisions made and executed by diverse teams delivered 60% better results.